Volvo V60 Cross Country Running Costs, MPG, Economy, Reliability, Safety | What Car? The Cross Country is a bit more expensive to buy than the regular V60 in our preferred Momentum trim, but it’s cheaper than four-wheel-drive versions of the Mercedes C-Class Estate and around the same as the Audi A4 Avant quattro. The Cross Country is also predicted to hold onto a solid chunk of its value when you come to sell it three years down the line. In fact, its expected residuals are a close match for the A4 Avant and outshine both the C-Class Estate and BMW 3 Series Touring. 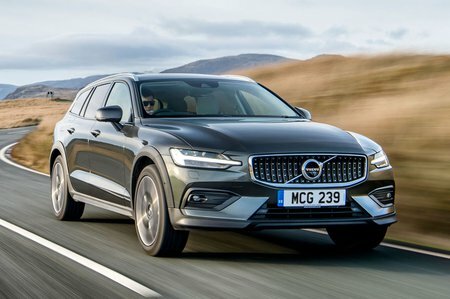 While the front-wheel-drive V60 Momentum emits 119g/km of CO2, it’s worth company car users bearing in mind that the four-wheel-drive Cross Country produces 135g/km. This figure is still lower than the A4 Avant 40 TDI quattro but not quite as good as the C220d Estate 4Matic can manage. The Cross Country has more than enough standard kit to keep gadget lovers entertained. The default stereo is a 10-speaker system, but audio buffs can upgrade to a punchier 600W, 14-speaker Harman Kardon setup. Those who are really serious about their music have the further option of a Bowers & Wilkins system with 15 speakers and 1100W but – be warned – it’s not cheap. Certain options are rather more tempting; we’ve already mentioned the Convenience Pack, smartphone integration and adaptive LED headlights, and metallic paint is almost always essential for the best resale values. As standard, the Cross Country gets automatic emergency braking (this will detect cars, pedestrians and large animals), traffic sign recognition, oncoming lane mitigation (to help avoid a head-on collision) and lane-keeping assistance. 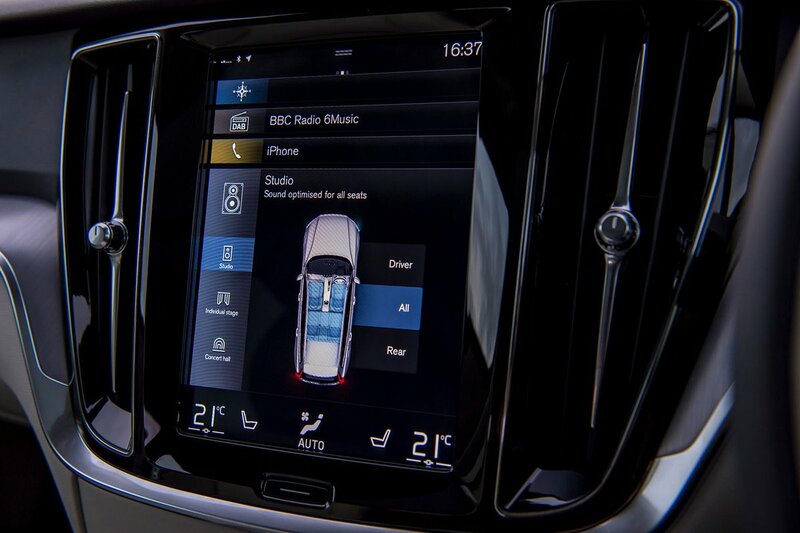 We’d consider adding the optional Intellisafe Pro pack, though; it includes blindspot warning and Pilot Assist (adaptive cruise control that can also make steering adjustments). It’s rather pricey but nicely rounds off what Euro NCAP has proven to be the safest car in its class. The V60 five-star crash test rating may be copper-bottomed, but there’s less to get excited about concerning Volvo’s reliability. As a manufacturer, the brand came 25th out of 31 in the latest What Car? Reliability Survey, finishing behind all its main rivals. A three-year, 60,000-mile manufacturer’s warranty and free breakdown cover are provided, matching that supplied by Volkswagen, Skoda and Audi but lagging behind BMW and Mercedes. Like the regular V60, the Cross Country is a spacious family holdall with an interior that’s a joy to travel in. 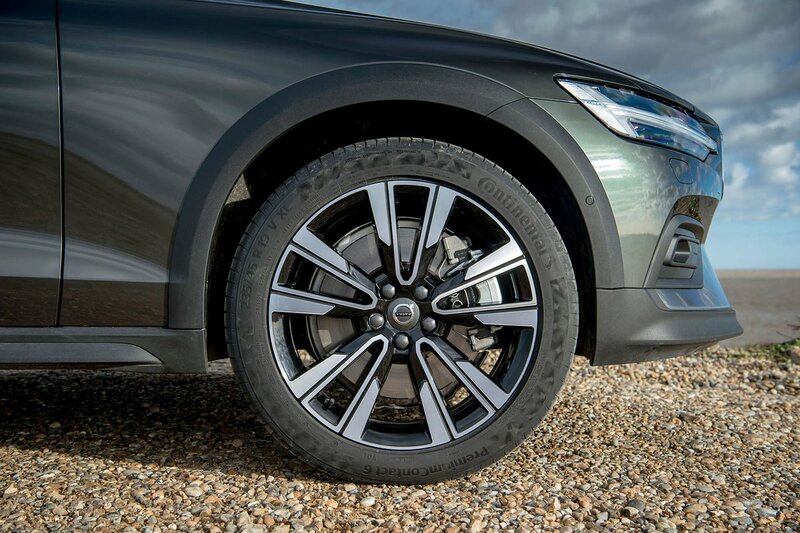 However, not only is it more comfortable, it can cope with a bit of light off-roading, too. Just remember that the regular V60 will be cheaper to buy and run.